Homicide detectives have been called in to a crime scene in Weymouth, Mass. on Tuesday night. 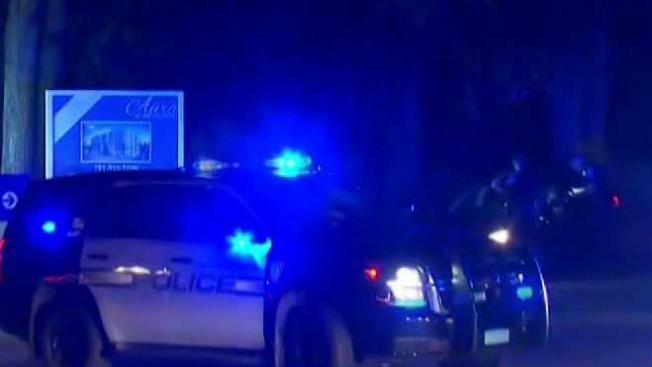 Police in Weymouth, Massachusetts are responding to a double shooting that took place in town earlier Tuesday evening. The shooting took place on Rockway Avenue at the Weymouth Commons apartment complex. The entire site is shut down while the investigation is ongoing. The Norfolk County District Attorney’s Office said at 10:40 p.m. that Massachusetts State Police homicide detectives have been called in. In addition, crime scene investigators and ballistics experts have been at the site.